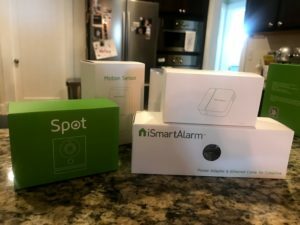 iSmartAlarm Security Review 2019 — Is a DIY security system right for you? Is a DIY security system right for you? iSmartAlarm is for users wanting easy installation, no contract and no monitoring fees. Read about the cost of ownership and packaged gear specs. iSmartAlarm is a pretty basic DIY security system—it’s affordable, and it does an okay job. It’s similar in many ways to SimpliSafe. But in our testing, the only thing we really liked was the Spot camera. Other than that, the app was buggy and minimalistic, and we ran into some design issues that just seemed careless. We’d like to see iSmartAlarm improve its app and user experience. In the meantime, it can’t compete with SimpliSafe, let alone with a DIY security company that has better tech, like Nest, Scout, or Abode. iSmartAlarm gives you a decent amount of equipment for a price that’s definitely affordable—but we ran into a few issues. 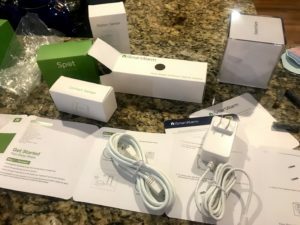 The whole system is wireless, minus the CubeOne hub—that has to be plugged into your router with an ethernet cable—and the Spot camera, which plugs into a regular outlet. Your door and window sensors and motion detectors are all wire-free and stick on surfaces with an adhesive strip—no drill necessary. The sticky pads that come with the entry sensors are indeed very sticky, so make sure you’ve positioned your equipment properly before sticking it to a wall, door, or window. The equipment as a whole worked fairly well. We were a little worried the door sensors wouldn’t work with our recessed doors, but they did. The sensors still knew when the door was open or closed and communicated properly with the app and the CubeOne hub. That said, one of our entry sensors and our motion sensor came with low batteries straight out of the box. The motion sensor just needed a few AA batteries, but the entry sensor required a CR2032 battery that, no surprise, we didn’t have on hand. Both sensors still worked, but it was annoying to have low batteries right off the bat. The iSmartAlarm system was pretty easy to install, although the instructions weren’t always quite clear. When you pull the system out of the box, it instructs you to download the iSmartAlarm app and follow the installation instructions. That was simple enough, but once we installed the app, it didn’t always give us explicit instructions for how to install specific components, like the CubeOne hub. The equipment also required a few firmware updates. That’s not out of the ordinary, but the system isn’t completely functional unless you complete all your firmware updates. For example, you can’t create modes and rules if even one of your system components needs an update. Don’t forget, though: the iSmartAlarm system is self-monitored, so the only person watching your security system is you. If you miss the alerts and there really is an intruder in your house, the only thing they’ll face is an annoying siren coming from your CubeOne hub. To be fair, the siren is loud and could certainly scare off an intruder who doesn’t know the police aren’t on their way. But if a burglar knows iSmartAlarm systems aren’t professionally monitored, then they might take the chance. 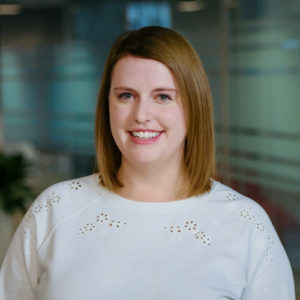 If you’d rather have a system backed by professionals who keep an eye on it, then we recommend Scout, or even a more traditional security provider like Vivint. iSmartAlarm makes a few different security cameras, like the Spot, the iCamera Keep, and the Keep Pro. All iSmartAlarm’s cameras are pretty cheap and pretty good quality. For this review, we took a look at the Spot. If there was anything we really liked in the iSmartAlarm system, it was the Spot. You’ll pay only about $100 for the Spot as a standalone camera, and for the price, it’s pretty darn good. The Spot records in 720p HD, and the image looked crisp and clear in our mobile app. The Spot also updated the image in real time with zero lag. Our only real complaint was that the two-way audio was very quiet, specifically if we spoke through the app to the camera. So maybe don’t rely on the Spot if you want to yell at your dog for jumping up on the couch while you’re not home. We do like that the Spot comes with a bunch of different mount options, including a magnetic base so you can stick it on the side of your fridge if you need to. The Spot’s also pretty small, so you can put it almost anywhere (as long as you can still plug it into an electrical outlet). iSmartAlarm creates a few other devices that didn’t come with our test package, including a key fob, a keypad, a remote siren, and a smart switch, which lets you control outlets from the iSmartAlarm app. If you want to build out an iSmartAlarm system, we recommend getting at least a keypad for those times when you just don’t want to pull your phone out to arm or disarm the security system. 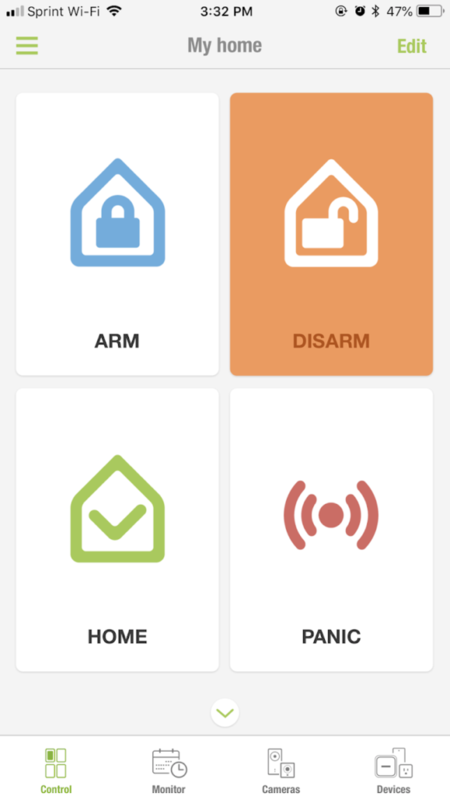 We didn’t love the iSmartAlarm mobile app, and the system lacks home automation options like Z-Wave—although it does work with IFTTT. Our biggest problems with the iSmartAlarm system were with the mobile app. We ran into a few random errors while setting up the system, and even after we installed everything, there were bugs like the panic button not working. If there’s ever an intruder while you’re home and you need to set off the alarm immediately, then a non-working panic button is frankly unacceptable. The app is easy to use, but that’s mostly because it’s basic. It does update quickly when there’s a change in the system, like a door opening or closing, and you can see all the statuses clearly. You can rename each sensor to specify which room it’s in, so you know if it was the front door or the back window that was opened. iSmartAlarm has very few home automation options. The system doesn’t support Z-Wave or Zigbee integrations, and it doesn’t work with Nest products. That said, iSmartAlarm does work with IFTTT, which lets you make the system talk to other smart devices. But it would be better if you could control everything straight from the iSmartAlarm app—IFTTT requires you to use an entirely separate app for your smart devices. That said, iSmartAlarm does work with IFTTT, which lets you make the system talk to other smart devices. iSmartAlarm does sell a smart switch, which lets you control electrical outlets. And in the iSmartAlarm app, you can set modes, which make your system follow certain rules. Like if you want the system to automatically arm at 8:30 a.m. when you leave for work, you can create a mode for that. Keep in mind, if your system needs a firmware update, you can’t access the modes screen until you complete the update, which is annoying. We tried to update the firmware for our Spot camera, and the system wouldn’t let us, which made modes inaccessible until the issue fixed itself. Not an ideal situation. iSmartAlarm is okay for a cheap, DIY security system with self-monitoring, but it wouldn’t be our first security pick. 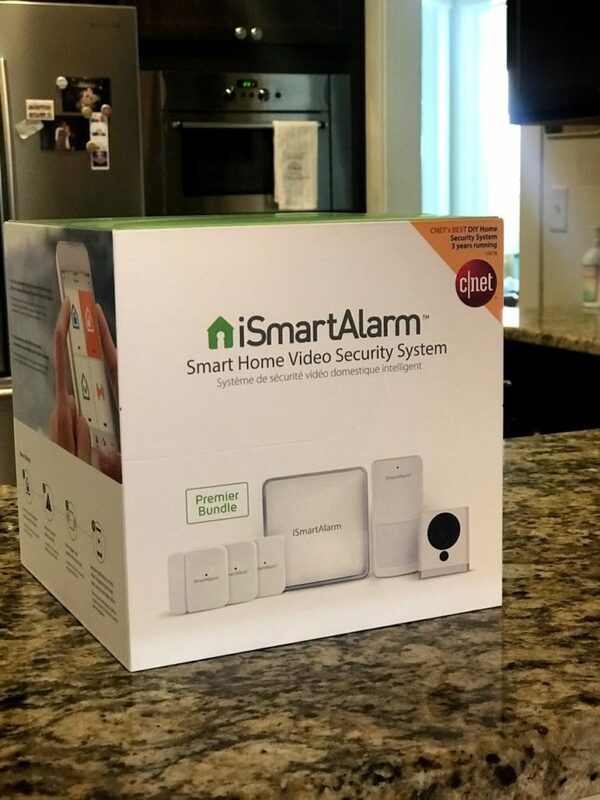 If you’re looking for an inexpensive security system, iSmartAlarm can give you decent equipment for cheap. While the system works pretty well, it’s also pretty basic and has some weird quirks that detract from the user experience. iSmartAlarm has virtually no home automation options outside of its own smart switch device and IFTTT integration. The iSmartAlarm app can be buggy and frustrating to use. The Spot camera is legitimately good for the price, and we’d recommend it even as a standalone device. If you just want a cheap, basic security system you can install and monitor yourself, then iSmartAlarm might fit the bill. But we recommend alternatives like SimpliSafe, Scout, or Abode first. 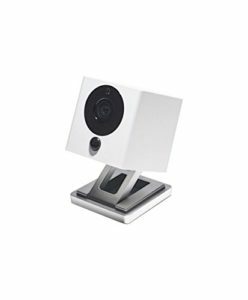 Even if you don’t want the iSmartAlarm security system, we do think the Spot is a solid indoor camera for the price. You might also want to consider our top options from our Best Home Security review. Do you have the iSmartAlarm system or an iSmartAlarm camera? Let us know what you think in the comments! This company is a fly by night company with poor quality item.s I bought a system and they charged me 100 dollars shipping and then sent it COD. I asked for shipping cost to be returned and they said they couldn’t predict how it would ship. They stay have not returned the money they took from me. Stay clear !!! !